Apple has reportedly dropped to the No. 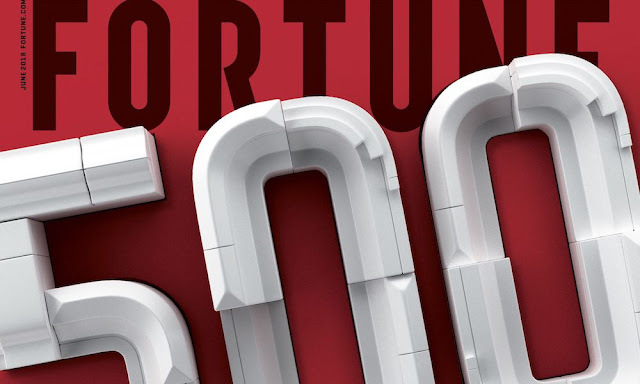 4 position on 2018’s annual Fortune 500 rankings of the top U.S. corporations based on gross revenue. Having clenched the No. 3 slot on Fortune’s list back in 2016 and 2017, Apple was displaced this year by former No. 4 title holder, Exxon Mobil, who bounced from No. 4 in 2017 up to No. 2 in the current rankings. Other tech firms who made the list this year include Verizon (No. 16), Google’s parent company Alphabet (No. 22) and Microsoft (No. 30). The publication points to the “overall saturation of smartphones” as a potential reason why Apple was unable to rise higher in this year’s rankings. Last year in the company’s profile, for example, Fortune stated that “Apple finally appeared to hit a wall” in reference to its reliance on iPhone sales. “Apple took a small step back, from No. 3 to No. 4, despite a 6% gain in annual sales, but it led the way in profits with more than $48 billion in net income,” Fortune noted in Apple’s company breakdown. Apple’s latest ranking is based on earned revenue of $229.2 billion, and profits of $48.3 billion, during the fiscal year 2017. 2018, meanwhile, represents the 24th consecutive year Apple has appeared on Fortune’s list. Aside from its previous best showings in the No. 3 slot, Apple last came in No. 5 back in 2014 and 2015, No. 6 in 2013, No. 17 in 2012, No. 35 in 2011 and No. 56 back in 2010.